From their newly renovated home on Ireland’s Atlantic coast, thirty somethings Jane and Myles Lambert are living their ultimate handcrafted dream – running their busy yet relaxed coastal café and their new funky shop, whilst continually making the most of the idyllic lifestyle they have created the sea. As a result, a new book Surf Café Living, created by Orca Publications, shares all their inspiring and often-easy tips so that you can recreate the infectious spirit and style of the couple. 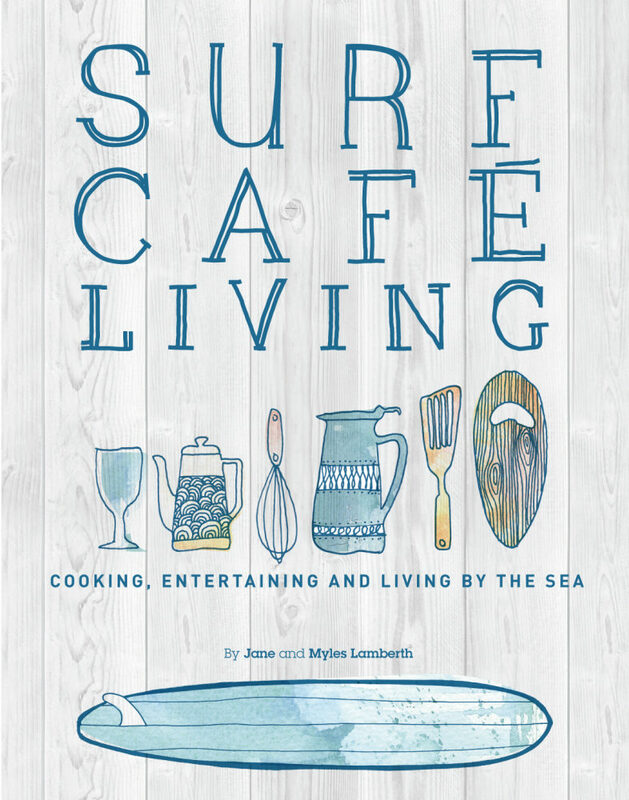 Surf Café Living is the couple’s second book. Since the release of their first publication, The Surf Café Cookbook, Jane and Myles have created a stunning place of their own, transforming a rundown 100-year old cottage into a contemporary ‘country meets beach’ house with their undeniable joint passion and creativity, utilizing ideas and know-how from local designers and craftsmen. In Surf Café Living, they share the remarkable transformation of Cedar Rose house against the stunning backdrop of Knocknarae mountain. Flick through the pages to discover how to construct a fire pit for barbecues and how to develop the perfect outdoor shower alongside easy tips for salvaging buried treasure and upcycling hessian coffee sacks into stylish cushion overs. This book is dedicated to making your house a personal but stylish home and opening it up with great friends, family and – of course –delectable food, always designed for sharing. that you’d find in their award-winning Shells Café. Tart and homemade marshmallows and macaroons to complete the perfectly delicious, sociable and laid back meal. decorations and sourcing the perfect vintage treasure for your home. Early morning surfs. Community Yoga. Sensational Sunsets. Gloriously messy beach barbecues. Outside gatherings and candlelit dinners. The fresh sea air and the sand between your toes. This book evokes those wonderful memories of seaside holidays and encapsulates all that is great about coastal living. Mouthwatering easy to follow recipes made with fresh, local produce. • Reflects the growing interest in beach culture and lifestyle. Food and the outdoors are Jane and Myles Lamberth’s great passions.Myles learnt his cookery skills in unique locations around the world: he’s cooked on campfires in Africa while river guiding, been a chef at exclusive chalets in the French Alps, and worked for a top catering company in the US where he cooked for musicians like Annie Lennox, The Gypsy Kings and even Snoop Dogg. Jane, meanwhile, began her career in marketing but her love of travel soon took her away from the city to destinations that offered surf or snow.